Midwest Rampage is my next upcoming major event, and I have quite a bit of work to do between now and the 19th of May. 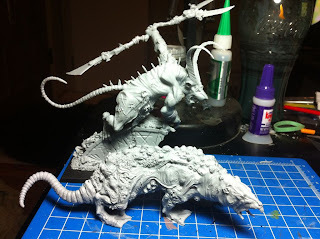 I decided to heavily alter my usual list and drop the Plague Furnace after Adepticon, opting for the "mobile gunline" 30 Gutter Runner list the UK loves. I have to get some practice in with it between now and the Rampage, but it'll be hard with the amount of hobby work I need to do between now and then to get my list in playable form! The Rampage is a 3000 point (No Grand Army) tournament that has no comp restrictions. This means by taking away my Plague Furnace and Priest I had a lot of points to fill and lots of new units to paint. I have 20 Gutter Runners to paint, 3 new Skirmish movement trays to make from scratch, my new display board to update (planning to add an above ground display on the top), a Plagueclaw Catapult to paint, and if there is time 2 new Hellpit Abominations to paint! .5" gap between Gutter Runners. 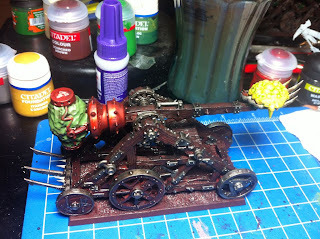 New Plagueclaw Catapult basecoated and washed. A bit more work to do. 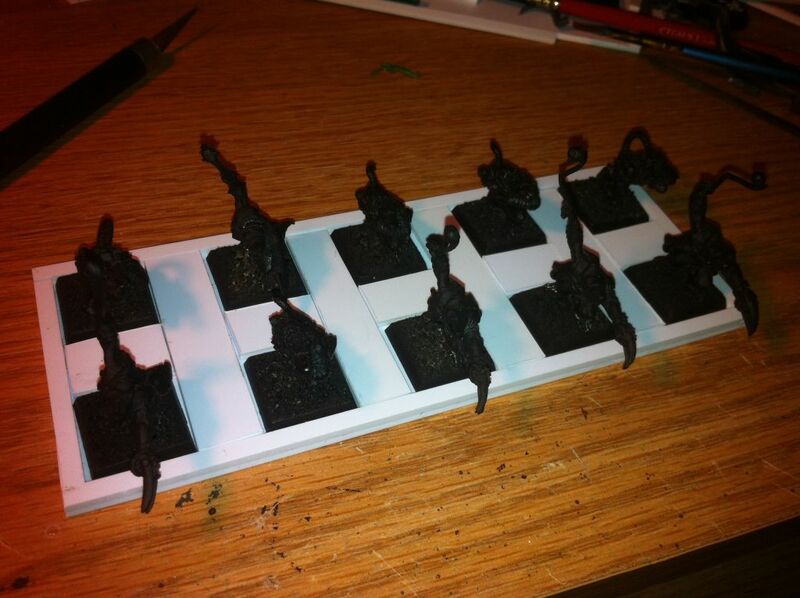 New Forgeworld resin goodness that will be used as Abominations in the list if painted in time.